This was one of the first Thanksgiving recipes that I ever made from scratch. The recipe is ready in about 30 minutes, and after one taste you’ll ditch the can forever! 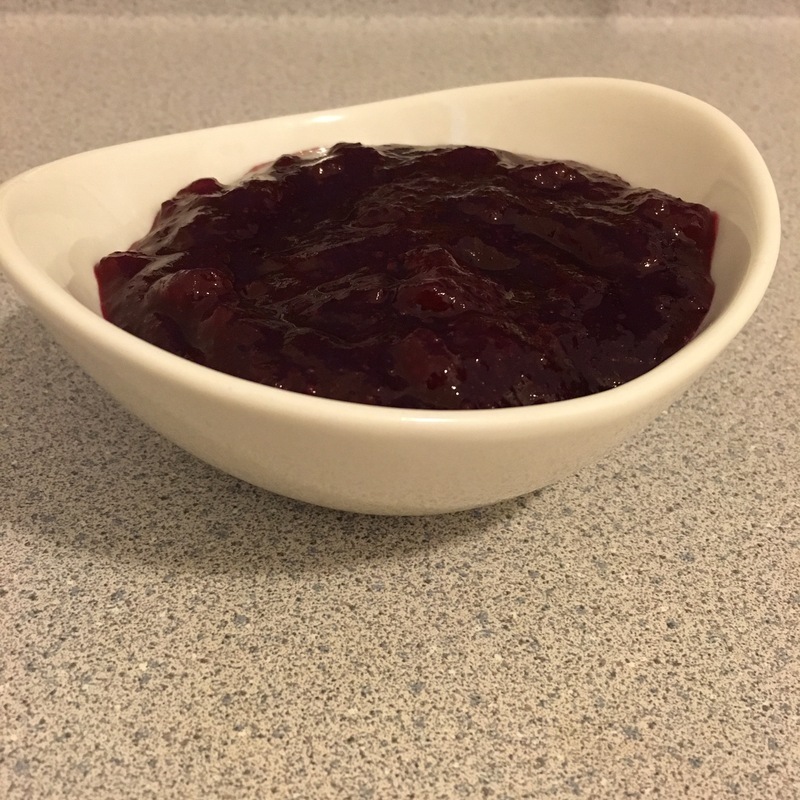 All you need to make this Homemade Cranberry sauce is fresh cranberries, water, sugar a 30 minutes. 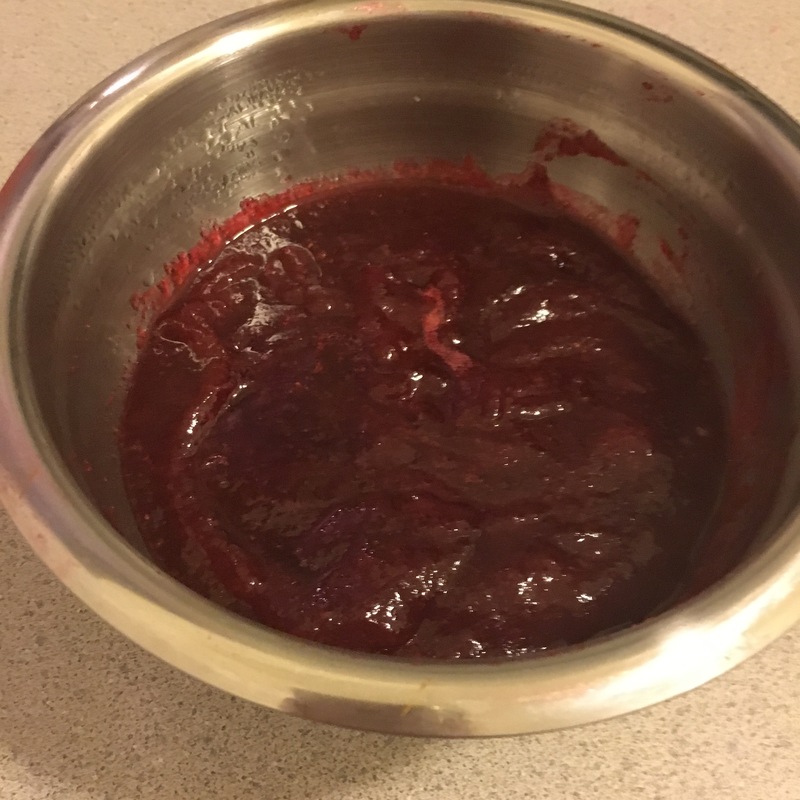 Mom ALWAYS made homemade cranberry sauce at Thanksgiving and Christmas. It was always one of the biggest hits, and made for great leftovers spread on some toast with butter, and of course on a turkey sandwich. I used the same basic recipe that my Mom taught me when I was a kid with a few spins on it to make it my own. This recipe can be made up to a week ahead of time and stored in the fridge to use on Thanksgiving Day. Anthony was very skeptical about this recipe but after one taste he asked for more and more, and even ended up licking the spoon and the pot clean after it cooked. I think the best part is that lately, he’s been playing in his room, and ordering turkey sandwiches WITH cranberry sauce. 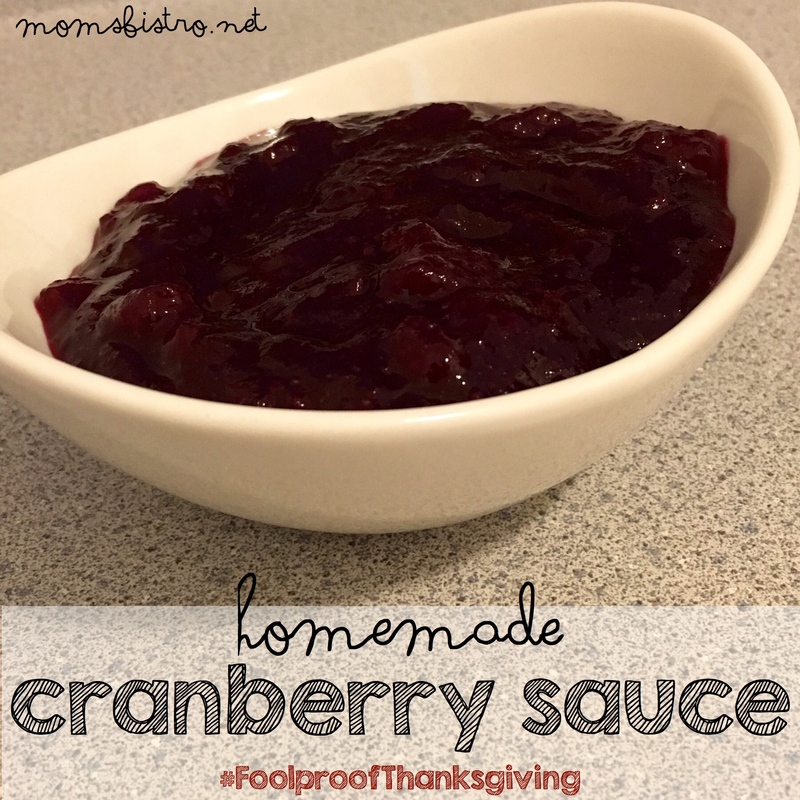 This cranberry sauce is such a hit, every single time. 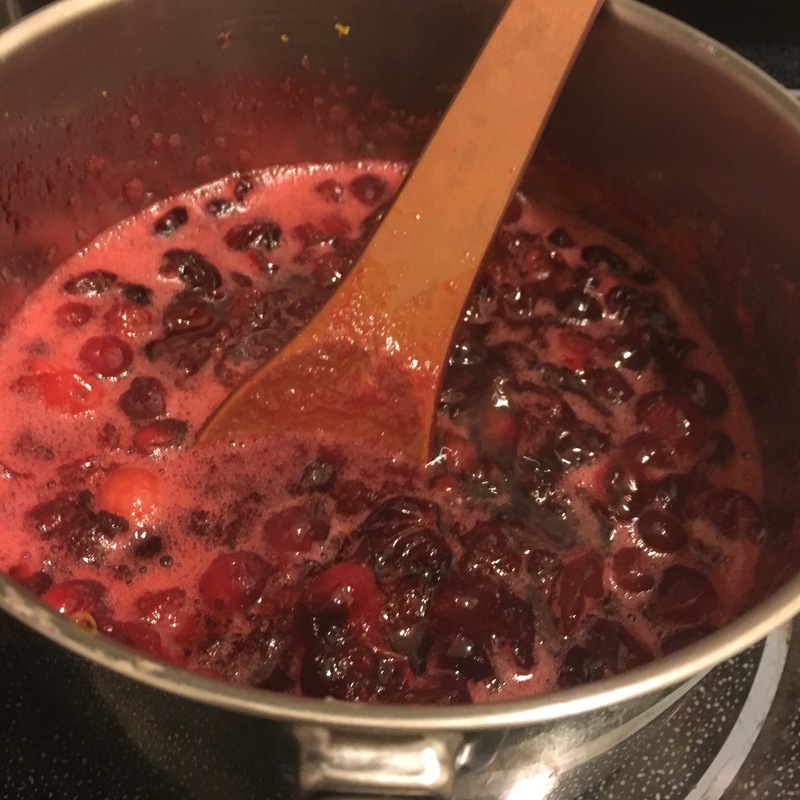 Place all ingredients in a deep pot and cook over medium-low heat for 20-30 minutes or until the cranberries start to pop and break up. 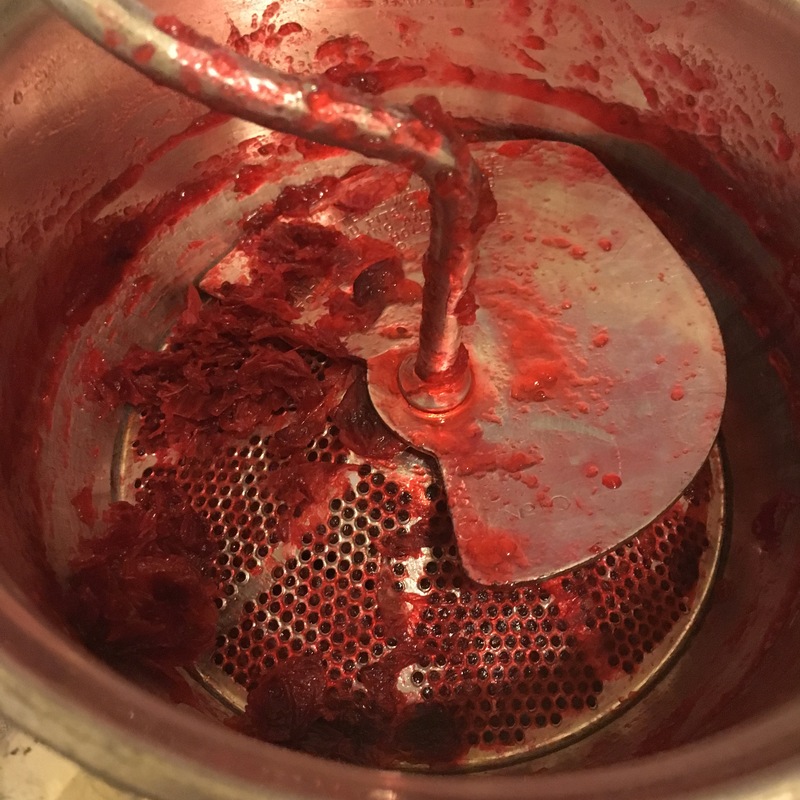 Use a whisk to break up any cranberries that haven’t popped yet and remove from heat. 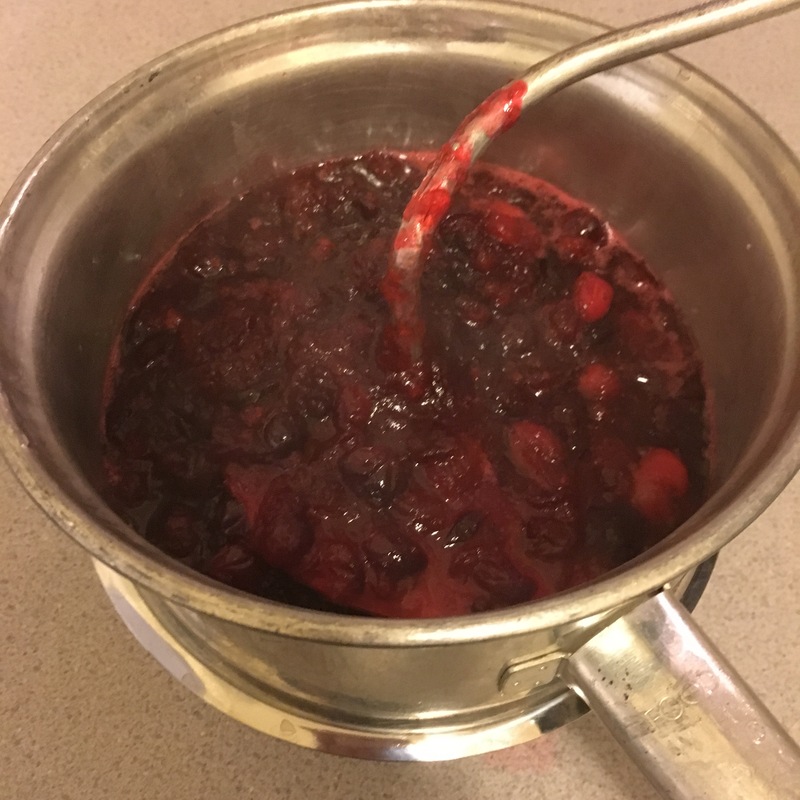 For a chunky cranberry sauce, use a whisk or a potato masher, and smash up cranberries until desired consistency. 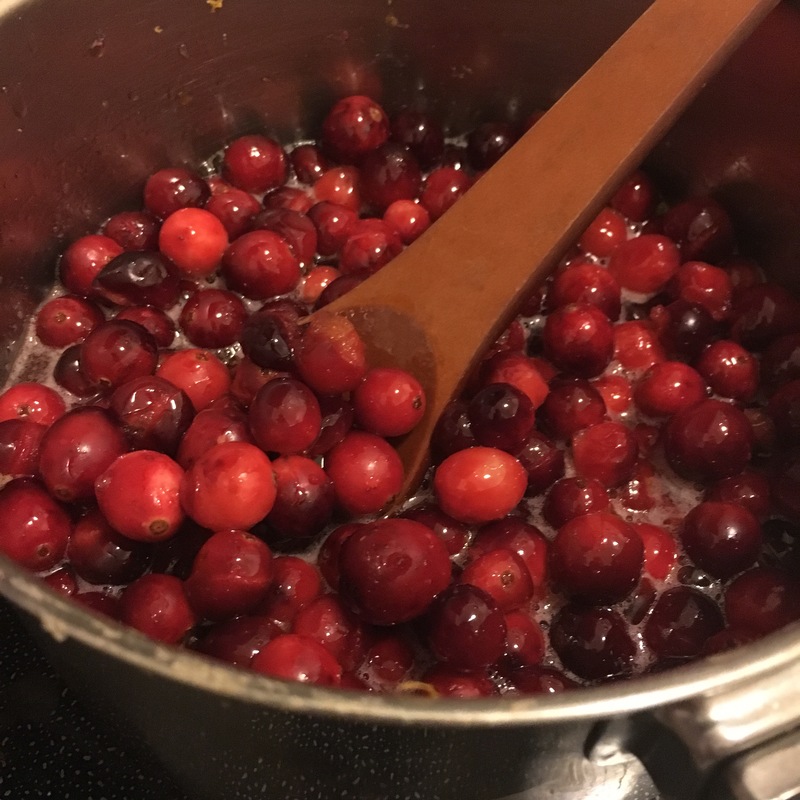 For a smooth cranberry sauce, like the stuff in the can, place a ricer or a tomato mill over a small bowl, and run cranberries through. Transfer cranberries to the bowl you want to serve them in, and place plastic wrap directly over the top. Place in fridge and let cool at least 1 hour before serving. If you’re looking for the FREE printable version of this recipe to add to your collection, click the link below to download a free PDF version.